Boston is home to many colleges and universities, and while perhaps not as common in the past, joining a fraternity or sorority is still a popular thing to do for many new students. Despite being illegal, fraternity and sorority hazing still happens all the time and sometimes it results in serious injury or even death as we have seen in some cases that made big headlines. Not only is this a crime and a basis for being expelled from school, it is also a basis for filing a personal injury lawsuit in some cases under various theories of liability including the Massachusetts dram shop statute and negligence. The dram shop law in our state is found in Chapter 138 of Section 69 of the Massachusetts General Laws (M.G.L.). This statute states no alcoholic beverages can be sold or otherwise provided to anyone who is intoxicated. It is also illegal to serve anyone alcohol who is under the age of 21 and as we know, most fraternity and sorority pledges subjected to hazing are under the age of majority. It should also be noted forcing someone to drink massive amounts of alcohol counts as delivery of alcohol under the Massachusetts dram shop law. This also brings us to the concept of social host liability as our Boston personal injury lawyers can explain. Many think a dram shop law only applies to bars and restaurants that serve alcohol, but under the social host liability law, a private party who furnishes alcohol to an intoxicated person can also be held liable in a civil personal injury lawsuit for any injuries to occur to drinker or an innocent third-party plaintiff. As discussed by the University of Dayton, this is such a large-scale problem that over 55 percent of students are estimated to have been subject to hazing in any given year. This is an estimate because many incidents of hazing are not reported to authorities. This is also not only a problem in colleges as the university also states that each year an estimated 1.5 million high school students are hazed as well. In Bogenberger v. Pi Kappa Alpha Corp., Inc., a fraternity pledge at a Midwestern university was allegedly hazed by being given large amounts of vodka. 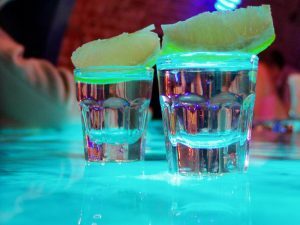 The student was a freshman and was allegedly told he had to attend an event known as “Mom and Dad’s Night.” This involved pledges consuming large quantities of vodka and to serve sorority sisters who were playing Greek Mothers along with fraternity brothers who were the Greek Fathers. They would ask the pledges questions and make them drink. They allegedly intended for the pledges to lose consciousness from excessive alcohol consumption. He was allegedly to have been told to consume five four-ounce cups vodka during the event. Even though they were said to have video-recorded the event, senior members allegedly told the to destroy the evidence when plaintiff was sick. According to court records, they discussed whether they should call 922, but decided not do so and directed others not to call as well. Plaintiff died during the course of the night and early morning hours. An autopsy revealed he had a lethal level of 0.43 grams of alcohol per hundred milliliters of blood. Not only is this a lethal amount of alcohol, it is many times the legal limit of 0.08 grams. Following his death, plaintiff, through the administrator of his estate filed a wrongful death action against numerous defendants related to the fraternity and sorority including the national organizations. The defendants filed a motion to dismiss based upon a state law that prohibits social host liability in that jurisdiction for cases involving the serving of alcohol. As discussed by the Essex District Attorney’s Office, there is a social host liability law in Massachusetts that would apply if these allegations were true and this case occurred in our state. The trail court granted defendant’s motion to dismiss and plaintiff appealed this decision. The intermediate appellate court affirmed trial court’s dismissal of the action pursuant to state law and plaintiff appealed this decision to the state supreme court. In this appeal, the court affirmed the dismissal against the national organizations. They did this by finding there was no relationship existing to impute liability on them as the students were not their agents or employees. In order to find someone vicariously under the doctrine of respondeat superior, it must be established the principal had control over the actions of an agent who engaged in tortious conduct. This is often seen in the context of an employer and employee relationship, which was not the case here. The court however distinguished this case from a social host liability claim with respect to the local defendants. This was not, as the court held, an accident due to negligence of over-serving, but a very foreseeable injury, which allegedly occurred during hazing. Hazing is a dangerous thing, and if these allegations were to be believed, the whole purpose was to make the pledges drink enough to lose consciousness. Death from alcohol poisoning is not only possibly and foreseeable, but likely and even this state’s dram shop and social host liability laws do not prohibit recovery in such actions. For this reason, the court reversed and remanded the dismissals with respect to the local defendants. It should also be noted assumption of risk is not a defense to negligent in Massachusetts. This means it is not an automatic defense to claim plaintiff knew what he was doing when drank the alcohol thus escaping liability. A jury will be required to assess any negligence on behalf of the plaintiff and it may ultimately reduce a plaintiff’s recovery, but it is not a bar to suit or recovery in a personal injury lawsuit in Boston. This was made explicitly clear by our state law makers.